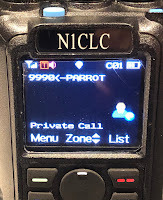 Setup a channel that uses the repeater of choice and the Parrot talkgroup (9990) as a “Private Call” If the group is setup on your Anytone 868/878 you can use an existing channel that you setup for the repeater and use the Parrot talk group by following my instructions “Using a talk group on the fly”. Transmit and say anything you want after you get the connect tone. 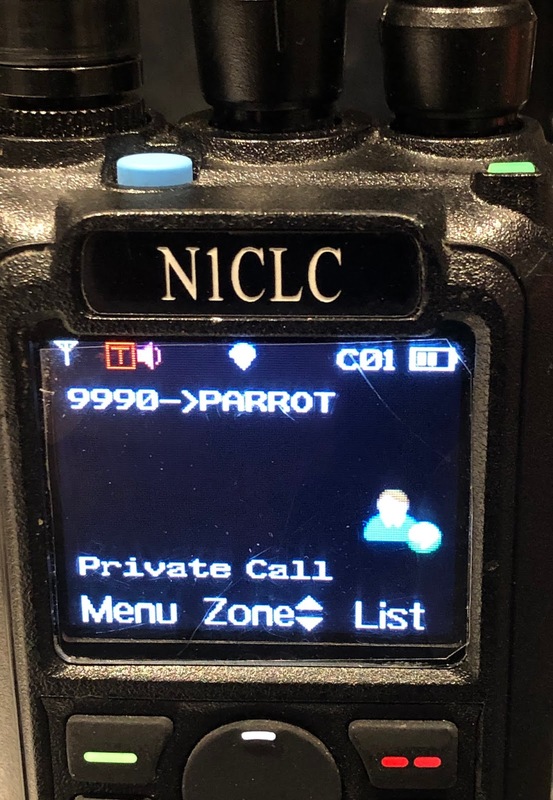 A second or two after your transmission, the Parrot server will make a private call back to you and you should hear the Parrot server echo back whatever you said in your transmission. If you don’t hear the parrot server repeat back what you sent, check your volume and try it again. If it still isn’t working it may indicate one of the following possibilities. Your radio is setup incorrectly for the repeater or talk group. Your radio isn’t getting into the repeater. The repeater isn’t connected to the internet. The parrot server is not working. 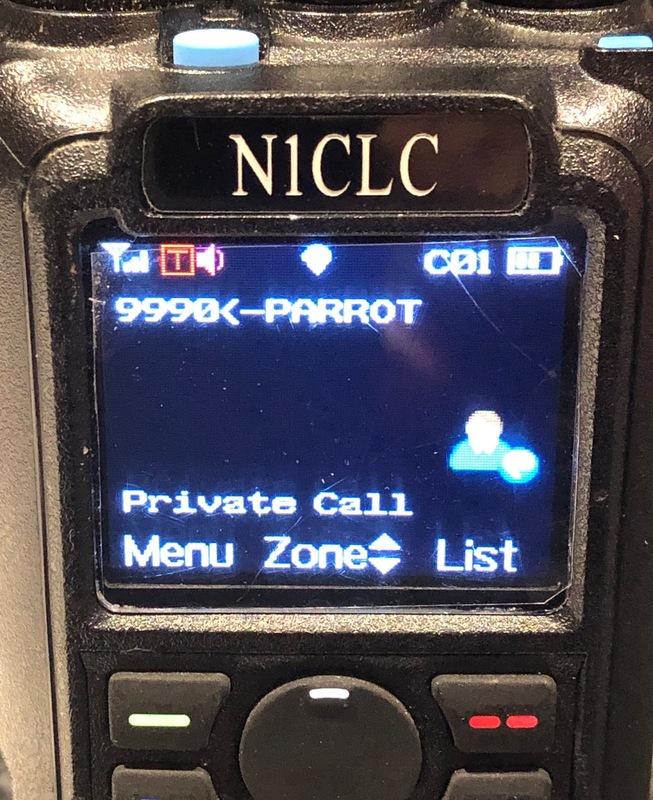 You are sending a private call and the parrot server sends a private call back to your radio. It may be possible for repeater owners to block private calls this but I’m not sure on this. I hope you found this DMR Tip helpful. I’d love to hear from you. Use the comments feature on this page to point out any errors or improvements I can make to these posts.